Disciple the Streets (DTS) - EYES ON ME INC. 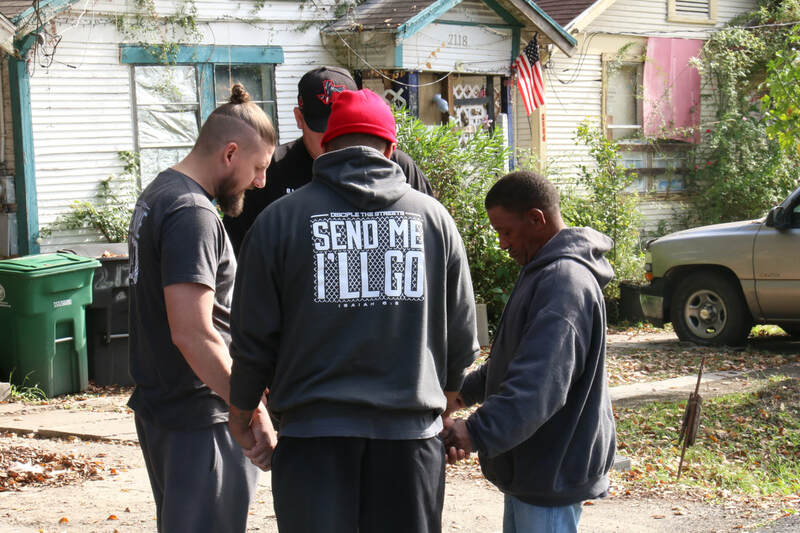 Disciple the Streets (DTS) Mission & Movement aims to spiritually transform poor communities and broken individuals within the inner-city streets of Houston, TX and beyond. 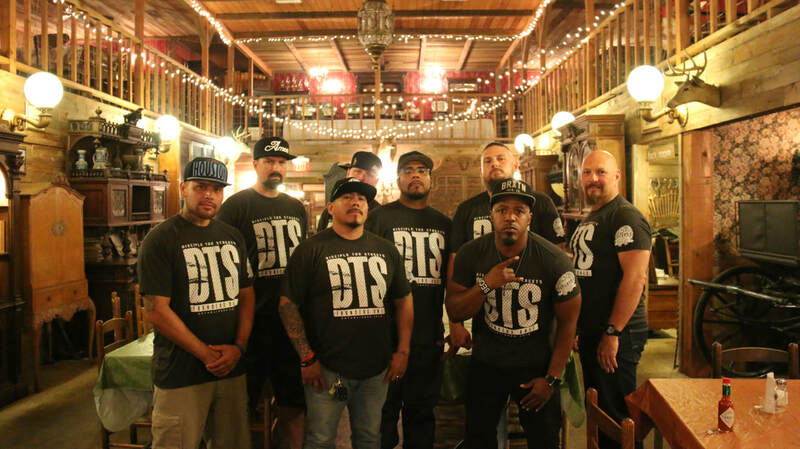 The DTS squad shares the Gospel of Jesus Christ, challenges people to commit to becoming a disciple of Jesus, trains them to follow him and sends them out to reproduce disciples. We serve in areas of poverty, drug abuse, and crime that many consider as places of darkness, where despair festers and grows. Hopelessness spreads among those that are void of self-worth, abandoned by their families, and trapped by their past; therefore, they feel they have nothing to live for anymore. We have the solution, we take it to them and we teach them to follow the ways of Christ. women are eager to disciple the streets and aggressively advance Gods’ Kingdom. What Do We Do? Who are we? DTS provides a ray of hope to “the least of these” through a holistic approach of Christ-centered discipleship. In an effort to reach people where they are and during their most hopeless moments, DTS reaches out late at night by sharing the word through music, testimony, free food and praying for others in some of the worse hoods across Houston & surrounding areas. We are a group of men who are concerned about the lack of light in poor communities. Many of us are from the streets and have dealt with long lasting battles with addiction, fatherlessness, abandonment, low self-esteem, depression, suicide, incarceration, drug selling, gang banging, violence and many other destructive behaviors. Today, we are all following Jesus and taking the gospel to the streets! It’s simple! Christ said, “go make disciples of all people, baptize them… and teach them to obey the ways of Christ'” (Matthew 28:19-20). Our lives were once broken and now that we have been forgiven of much, we love that much more. We are filling a void in Christian missions on a local level. Millions of dollars are spent on international mission work but very little is spent in inner cities across America. These places are left without ever hearing a clear presentation of the gospel, especially in a way they can relate it to their own lives. We use our testimonies to make the gospel known and clear. When it’s all said and done, we seek to raise up people from the streets that we can teach and train to be disciples that make disciples. ​WHEN DO WE DO IT ? 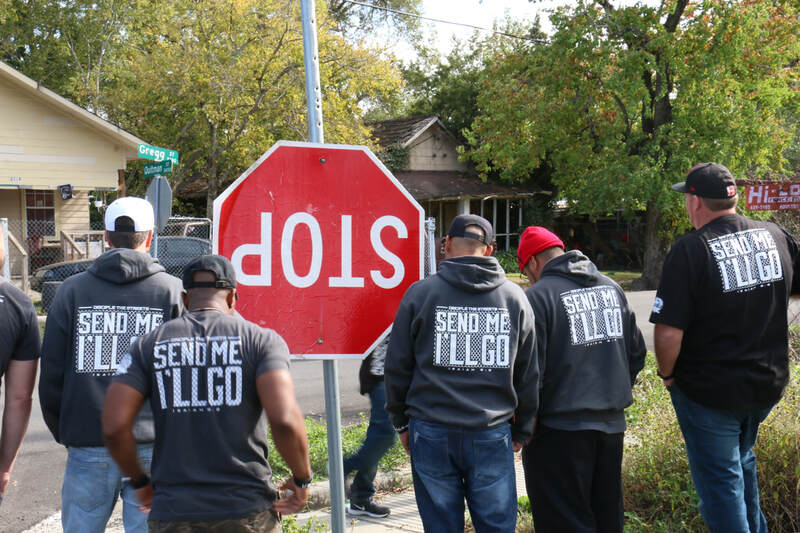 We have many methods of evangelism including Hip Hop music outreaches that provide street corner testimonials from ex-convicts, former drug addicts, and others who lived a life far from God. We also have resources for discipleship such as our Disciple the Streets DVD Series which is providing a teaching method using Hip Hop music videos to connect people to Jesus. We call people, counsel people, visit many in prison, help with drug rehabilitation, teach people in their homes and whatever else it takes to make a disciple of Christ. In Ephesians 4:11, we are told that, “Christ himself gave the apostles, the prophets, the evangelists, the pastors and teachers.” We are operating in this five fold ministry on a daily basis. We have house churches, prison evangelism and training, outreach events, counseling, discipleship training classes, leadership communities, benevolence fulfillment, and so much more happening every single day.